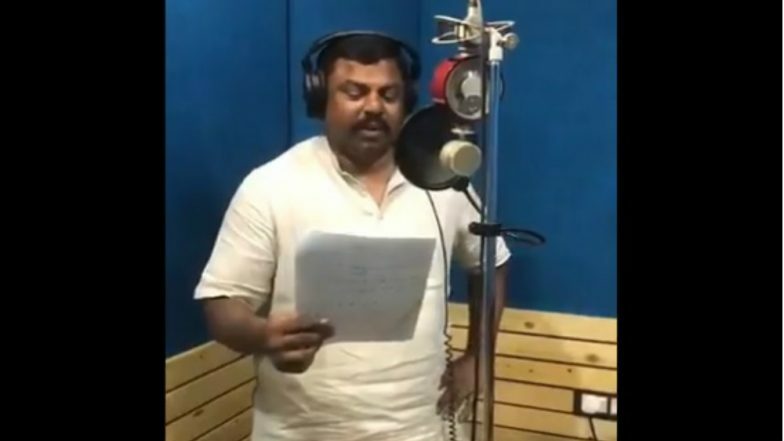 Hyderabad, April 15: After Pakistan army accused him of copying their song 'Zindabad Pakistan', Bharatiya Janata Party (BJP) legislator from Telangana, Thakur Raja Singh Lodh, on Sunday rejected the charge of plagiarism. Asserting that he has been making songs for the Indian Army on Ram Navmi and different occasions, Raja Singh said he was surprised to know that "terrorist-producing Pakistan" has singers. "I'm more surprised that even a terrorist nation produces singers. Pakistani singers may have copied my song we don't have to copy anything from a terrorist state like Pakistan," Singh said in a video message. The BJP MLA's reaction came after Pakistan army claimed that he copied its anthem 'Zindabad Pakistan' and dedicated it to the Indian armed forces. The song was released by Pakistan's media wing on March 23 for Pakistan Day. "Glad that you copied. But copy to speak the truth as well," Pakistan army spokesman Major General Asif Ghafoor tweeted. He responded to Singh's tweet in which he shared a snippet of his song on social media. "My new song which will be released on 14th April at 11:45 AM on the occasion of #SriRamNavami is dedicated to our #IndianArmy forces," the BJP MLA had tweeted on April 12. According to local media reports, Lodh copied the song 'Zindabad Pakistan' and recorded it by changing it to 'Zindabad Hindustan' and dedicated it to Indian armed forces. The relationship between the two neighbouring countries has further soured in the recent months after a suicide bomber of Pakistan-based Jaish-e-Mohammed (JeM) terror group killed 40 CRPF personnel in Jammu and Kashmir's Pulwama district on February 14.